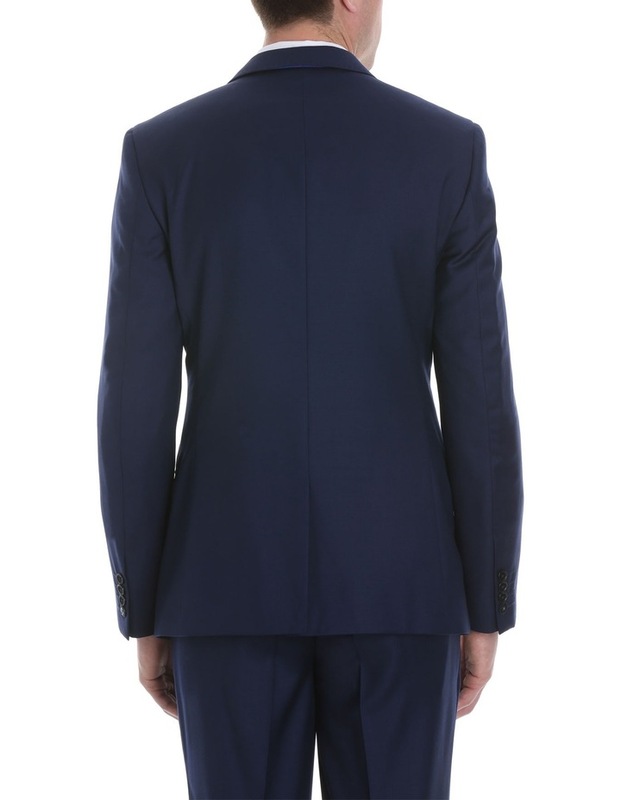 Cut a discerning figure in the WOLF KANAT Black Plain Suit Jacket. 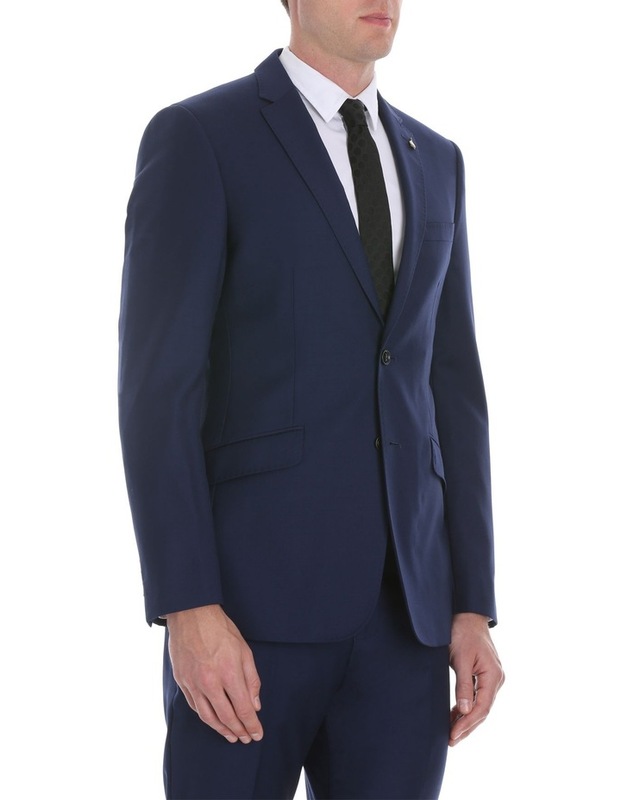 Expertly tailored for a slim fit, this single breasted jacket creates a smart silhouette. 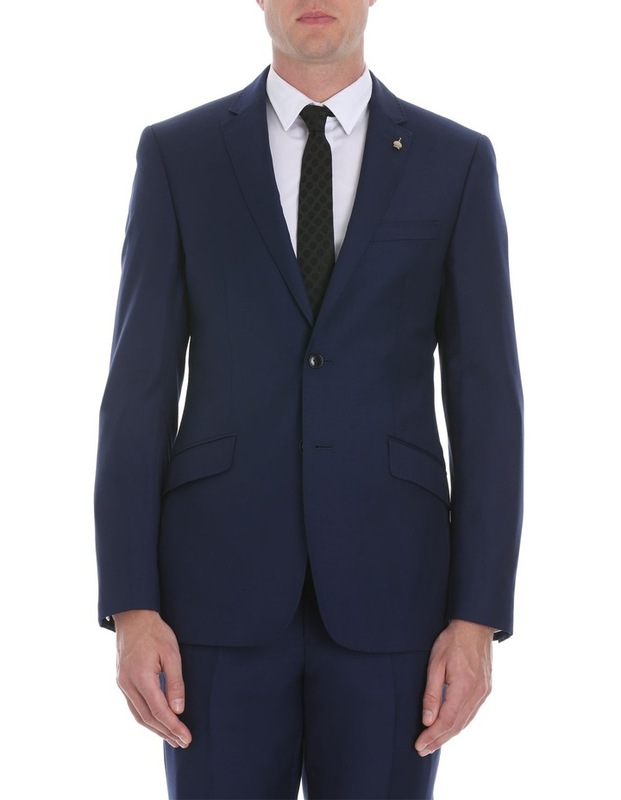 Debonair details include signature ace of spades buttons, lush red jacquard lining and stitched detailing on the lapel. 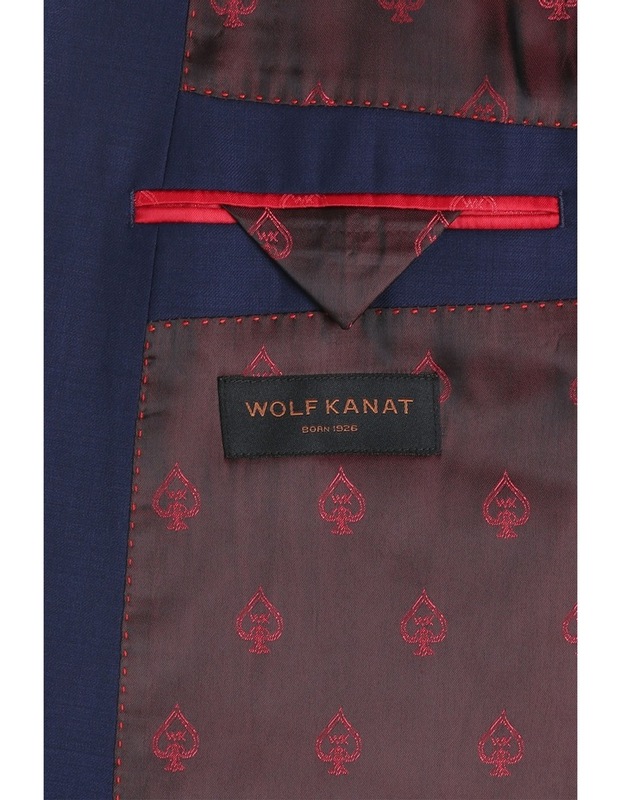 Wear yours with the matching WOLF KANAT blue pants.